Find hashtags that are popular and relevant to your book, and write something to contribute to the discussion. Don’t forget to include the #hashtag. Other people following that hashtag will see your tweet and possibly even start to follow you. Need help finding popular and relevant hashtags? One great place to search is at Twitag. If you want to find hashtags sorted into groups, then you should use Twubs. Another great option is Hashtags.org. For strictly popular and trending hashtags, you can use What The Trend. Using these resources, you can find relevant hashtags to allow you to join in the conversation where your future readers are and get them to start following you! Have you sold 100 copies of a book? Tweet about it! What about 1000 copies? Definitely tweet these major milestones, because if your readers see that 1000 other people have purchased the book, they will feel left out, and want to join in (by buying your book). Simply tweet the milestone and include a link to the book, and you will be promoting the book without annoying your readers. You could tweet monetary milestones too, but that becomes a little murky, especially for those who don’t want to share their earnings. Stick to number of copies sold (or borrowed, or downloaded), and it will cause readers who have purchased to be excited they have helped you reach a milestone, and as I mentioned, it will make those who have not purchased the book want to feel included. No doubt, you put some thought into what you wrote in your books. Whether your book is nonfiction or fiction, there are some quotes that you had main characters say, or that you included to emphasize a point, that you are probably quite fond of. Use this gold that is already in the books to promote the book! Most readers won’t know about these quotes unless they have actually read the book. Pick out some of your favorites, put them into a tweet, and write “from [BOOK NAME HERE]” with a link to Amazon after that. Not sure which quotes to use? Amazon will tell you! Go to your book’s page on Amazon.com, scroll all the way down to where it says “Popular Highlights” (under the reviews). This will list the most popular passages that were highlighted in your book using the Kindle software. Pick out some of the most popular and tweet those! Using interesting and intriguing quotes from your book is a great way to promote your book, and the best part is, the work is already done, you just have to copy and paste it! Enjoy that tip, it’s one of my favorites! While the last tip had you tweeting quotes from your book, this tip will have you quoting about your book. Use lines from the top reviews of your book in your tweets. Of course you should link to your book, but people want to know about others think about your book. If you know the reviewer is on Twitter, you can thank them directly for the great review, giving them a little shout out. This will make them feel appreciated, and it can cause others to want to leave positive reviews so that they too are thanked by you! While this option is the closest to “buy my book!”, it approaches it a little differently. First, when you have a book that is discounted or free, just let your readers know! This is a great time for you to tell them to buy your book, because those who may be following you who haven’t purchased that book may finally pull the trigger because of the discount. 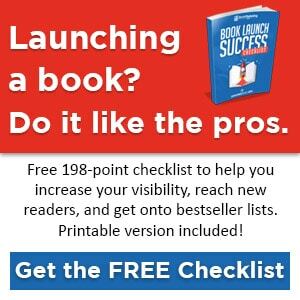 You can also network with other authors to promote books for each other. This allows each of you access to a new pool of readers that you didn’t have access to before, and those readers and followers will learn about books that they hadn’t heard about before. It’s a win-win for everyone involved. So, while you’re still saying “Buy my book” or “Buy someone else’s book”, you are giving them a reason to want to buy when promoting a discount or another author’s book. Twitter is a wonderful resource for being able to have direct access to fans that authors just a few years ago didn’t have access to. Don’t take this for granted by telling them to buy your book all day long. 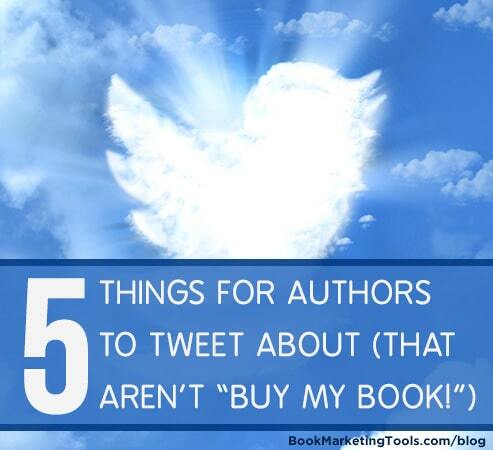 Use different ideas on this list, and you can still promote your book on Twitter, just in a new and creative way.